Because our laundry room is so blah, I have wanted to find a way to jazz it up and really put our mark on it. So I am a fan of many blogs, but one of the blogs that I read was doing a promotional event for the company WallQuotes.com. 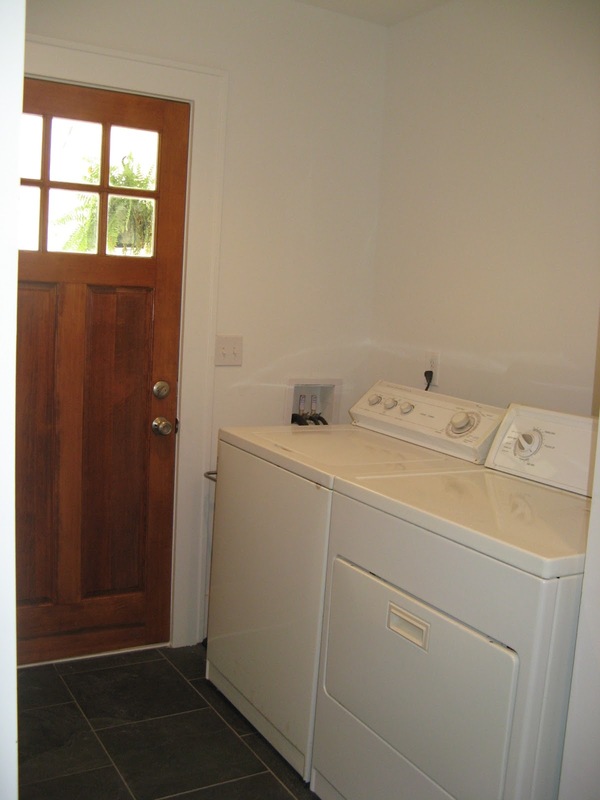 Well, I was intrigued by the image of the laundry room they showed, so I decided to check out the website. As it turns out, you can create your own quote/image, so I have a surprise coming, but it hasn’t arrived yet. However, in preparation for this exciting reveal, I needed an accent wall, so the white lettering would really stand out. And, rather than purchase more paint for just a single wall, I started thinking of all the colors we have stored in the shed. 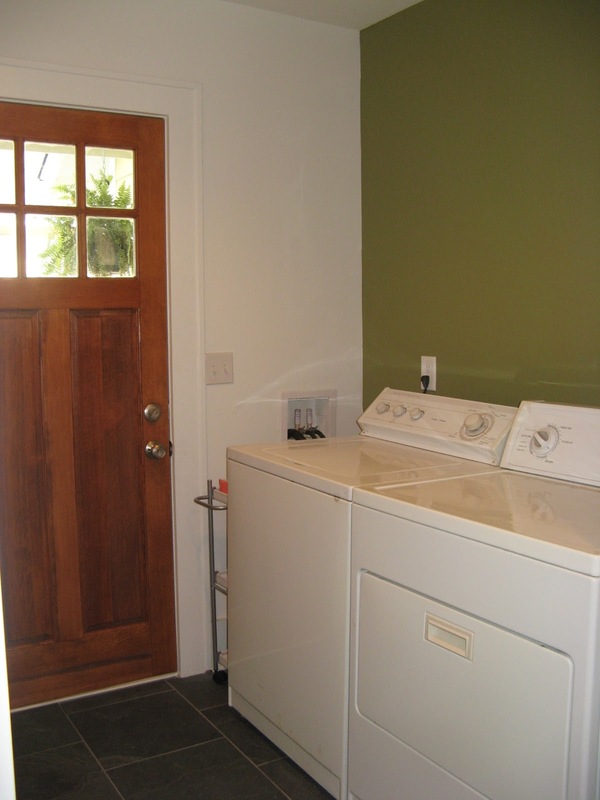 Also, since the wall that the washer and dryer are on was once an exterior wall, I thought it could be fun to paint it the same color as the exterior of the house! Too bad that vinyl siding isn’t still there, not! So here’s the before and after. Granted the room still has the surprise quote coming and possibly some cabinets & shelves. But for now, this is it, and it’s already better. I will say that the paint is much darker on the inside, with a hint of baby-poop-green that I wasn’t really loving at first, but hey, it’s better than the white, on white, on white.